I’m proud of what we achieved all throughout March. I said we because I reinforced my collaboration with my language consultant Mitchie Ruiz and she is now going to work at Myctofriend part time, helping me with all the content production. Podcast, blog posts, courses, video production, … everything. I’m very proud of all the work I was able to achieve with her help in the past 2 years, and having her now part time at My CTO friend will breathe in a new dimension to the value we give startups. 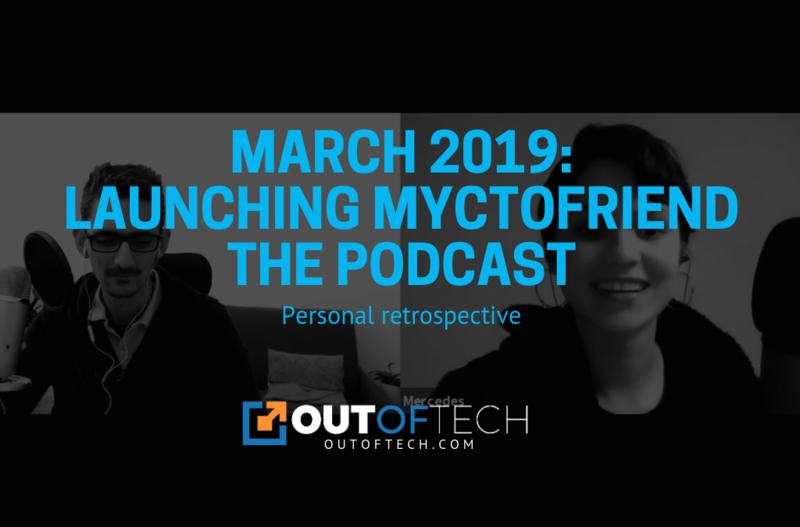 More specifically, this month we launched “My CTO friend – The Podcast” It’s already available on most podcast platforms, and we cannot wait to read what you think of it. My webinar content was a hit at the Marseille Innovation conference, the positive feedback was very uptlifting. I’m going to do one live by the end of April, and I’m also considering creating a course that explains in detail what a CTO does for early-stage Startups. The new goal for April is to review my entire onboarding process and the videos attached to it. The idea is to make the funnel, the trial period and the coaching program as smooth as possible for startup founders. As usual, I’ll keep you updated by the beginning of next month. Monthly OutOfTech blog posts & weekly MyCTOfriend videos Review: I wanted to batch my content production, but I didn’t manage to do so for the Weekly video. I did however achieve it for the podcast and I’m proud to say that we’ve recorded 8 episodes ahead of time. Goal: Batching all the content production. I’ll be moving a bit more in the next few months, it’s a priority for me to batch all the content production and keep a worry-free mind to focus on bigger projects. ‘Startup Without a CTO’ book Review: We did a great job in terms of content interviews, restructuring the book and recording the podcast simultaneously. We haven’t really written the first 3 chapters, as Mitchie preferred to batch the writing. It’s starting next week. Goal: Having gone through the first 14 chapters of the book with the content interview process, and having written the first 6 Chapters. Review: This was quite a new thing for me and I put in the effort making it. So Mitchie and I launched the podcast on March 26th, and the episodes will be published weekly. We’ve managed to record not only 3 episodes, but 8 ahead of time. So proud! Goal: Having gone through the first 14 chapters of the book with the content interview process. 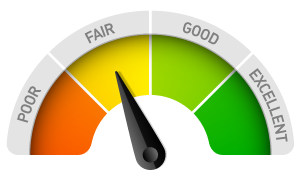 Online courses Review: No goals for last month Goal: Repurposing my webinar. I just used this new content for a conference at the Startup accelerator Marseille Innovation and this new format worked very well. I’m planning to use it not only as a live monthly webinar, but as an online course as well. I will have a first version by the end of the month and I will use the content of the webinar to keep the course up to date. Hiring my first senior manager Review: No goals for last month Goal: Although I had no goal on this, I want to move toward that vision of building an Innovator school and onboard other CTOs to do what I do, and I’ll do so by optimizing the current process as much as possible before sharing it with the next collaborators or partners. To make that transition, the content aspect of everything I do is key. That’s why I naturally came up with the solution of hiring Mitchie, THE person who has helped me for the past 2 years to improve my English and create better quality content. Although she is junior, the goal is to help her take on a content director role, helping me synchronise all my content production with startups’ needs. It’s a great business relationship that we are moving to the next level. And I’m glad to welcome her as our new teammate at MyCTOfriend. ‘How to Build a Successful Startup Without a CTO Co-Founder’ webinar Review: The content is ready, it needs a little polishing and a short review of the sales part at the end. (Yes, a webinar is also to offer the best deal possible). Goal: My goal is to plan doing a live webinar by the end of the month. So keep an eye out for it because the content has tons of value, regardless if you just started or if you’ve been managing your startup for a while. Improving the funnel and onboarding process Review: No goals for last month Goal: Record new videos for the onboarding process, especifically to facilitate and clarify the process for people interested in joining the coaching program.